I want to thank all of my readers — from those who have been with me from the beginning to all of my wonderful newcomers. If you check out the Archives and scroll down to the bottom, you can check out how my posts have progressed since I’ve started blogging here. My initial intention for this space, which I was very clear about at the time, was to put my experience out there in hopes that even one person would read it, connect, and find hope…that they would know that they were not alone. I never imagined that thousands to tens of thousands of readers per month would visit this space, read my posts, comment, and subscribe. This blog has already surpassed my initial expectations. As I have progressed in my work with Dialectical Behavior Therapy (DBT), I have been getting much healthier, better able to cope, and have had less crises than ever. A lot of my posts, especially for the first year, focused on how I coped with crisis situations using the skills. The skills were new to me, and it was exciting for me to process through them, practice them, and see them yield positive results in my life. As time went on, I would find new ways to apply the same skills to new situations that came up. Eventually, I began to feel that I was “re-explaining” the skills — which is okay to a large degree, as there are so many possible situations where one could use them. The thing is, as my life has become more stable (not to say that I am not symptomatic, because I am — pretty much on a daily basis), I have less “incidents” to write about. I worried about this initially. What would happen to this blog? I realized that I was, on some level, awaiting incidents to happen so that I’d have something to write about. 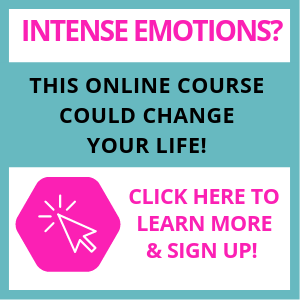 I had an “aha” moment that my association of what this blog had become was causing me to feel that I had to “stay ill” or have crises in order to keep it going. Because I want to continue to grow emotionally, I must reassess the purpose of this blog and come up with a new intention. I have been posting an average of 2-3 times a week. This will probably change to 1-2x a week or less. I’ll have to see how the flow goes. I don’t want to post content for content’s sake. I want to bring you quality information. Those of you who currently subscribe via Kindle subscriptions will have to decide if the new frequency continues to warrant the subscription at $0.99/month. Guest blog posts, such as this recent one by David O’Garr on what it’s like to be a man with BPD. 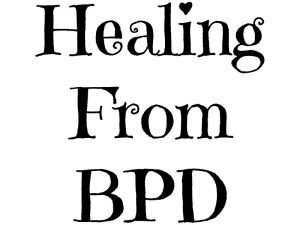 I have lots of interesting people on tap for these guest posts, including others who have Borderline Personality Disorder and professionals who have dedicated part or all of their practice to helping those with BPD to heal. More “clinical” information-style posts. I start graduate school in January, and one of my first classes is “Interpersonal Psychology.” I think this will be very interesting and helpful for writing about Interpersonal Effectiveness skills and scenarios. Videos from vloggers on mental health issues. I have several on tap and have already featured two awesome ones here. I also plan to record more videos for you, like this one that I made for you on Christmas. When something does come up on a personal level that I consider share worthy, I will do personal posts as I did before. I think I’ll be too busy in the near future to write a new book to add to these titles, but you never know. A top-secret project that I won’t be able to talk about for a while. 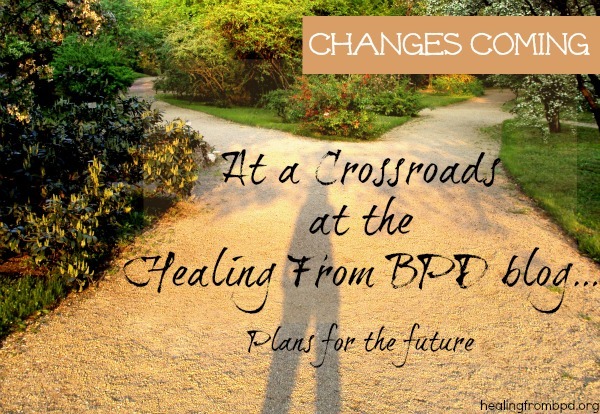 It’s a special project to bring awareness to BPD. Getting in better shape — not for vanity but for overall health (walking more, yoga classes). Getting out there and creating and building a Life Worth Living. I adore and value each of you, and I am so honored by the response I got on Twitter yesterday when I began to talk about these changes a little bit. Thank you for supporting me on my continued journey of growing. 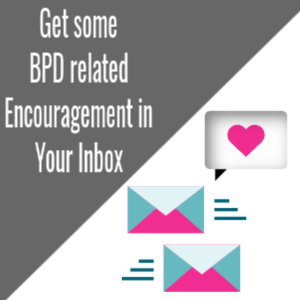 You can also subscribe by email to my free, daily BPD newspaper. It sounds like you'll be keeping very busy!! While I'll miss the frequency of your posts, I love to hear that you're doing better and better. It gives me hope for my own BPD. Have Yourself a Skillful Little Christmas (DBT) Would I “turn off” having Borderline Personality Disorder?